Over the next few months (till February 2018), I am committing to run 5 full marathons and 5 half marathons and 2000 kms of cycling in order to raise funds for 6 night schools run by the Barefoot College for children who are unable to attend a formal school due to various reasons. Over 60% of the children in these night school centres are girls. Please see below for detailed information. You can also read more on the website of the Barefoot College. Share this with friends, family and others in your networks who are passionate about supporting education, especially of girl children in rural India. Please note that, I do not take even one rupee for my marathon expenses from this campaign. So, whatever money you donate goes entirely to Barefoot College’s account (minus Milaap admin fee). I fund my marathon expenses completely from my savings/earnings and will never take any money from donations. In the last 6 years, I have raised funds via Wishberry.in, GiveIndia.org and Milaap to get Prathambooks libraries and medical equipment for children's hospital in Mumbai via Pragati. You can read about my running story here. You can also read about my past campaigns here and here. I am raising funds for running 6 solar powered night schools in Rajasthan where approximately 240 children study everyday after sunset. Every night school needs approx Rs 144000 per year to support the education of 40 children, teacher salaries, study resources, construct a pukka building, solar panel and lights, water and basic furniture and mats. For six schools, the figure is Rs 8.6 lakhs per annum. Growing up in a low-income community family, staying in school and going to college on a Government scholarship changed my life. Driven by the wish to do something for children who didn't get the excellent education they deserve, I joined Teach For India and became a full time teacher at the Municipal school in Dharavi, Mumbai (2010-12). There, I got to see how children in such classrooms lack the basic resources needed to learn well and stay on grade level. For over four decades now, Barefoot College has been running night schools across India for rural children unable to attend any day school due to compelling family responsibilities (e.g. farming, livestock breeding, household chores) or other unavoidable reasons (e.g. distance, social barriers preventing girls from attending school). 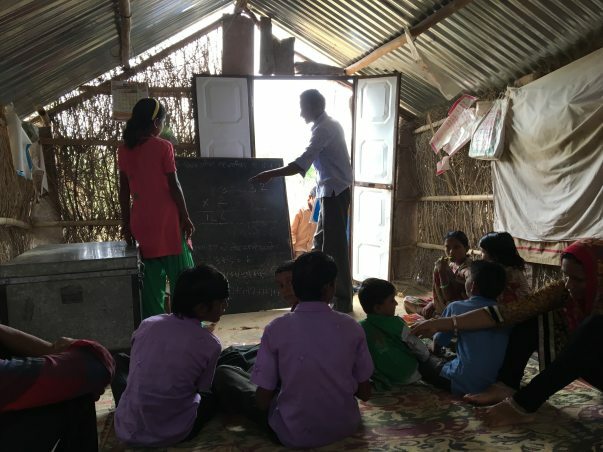 The night schools cater to children from tribal communities left at the development periphery across Rajasthan, be it the nomadic Bagariyas, the landless Kalbeliya daily wage labourers, the Mal scrap resellers, or the primitively agricultural Bhils. Education for such ignored communities can be game changing in shifting the development dynamics and has indeed proven to be so, in our case. 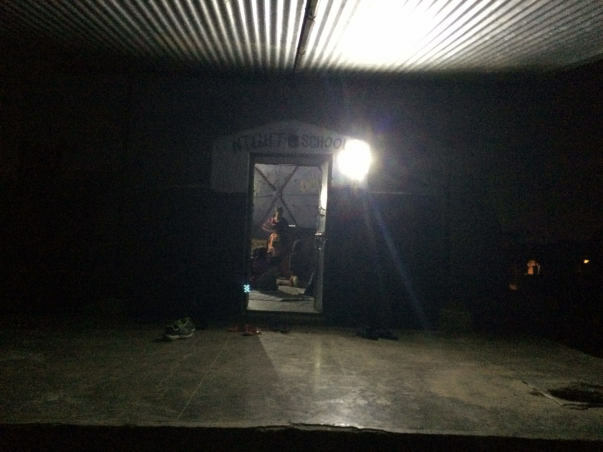 Since we started in 1974, our solar-powered night schools in remote off-grid rural communities have educated over 75,000 children, 65% of which are girls. We have helped over 40% of our children integrate into state schools. These outstanding stories of our children have contributed to the changing mindset of these communities towards the value of education, much in line with our nation’s commitment to UNESCO’s development goal of ‘Education for All’ by 2030. As we have successfully educated and transitioned rural children across to mainstream education, our night schools have naturally reduced from a peak of 150 to now 30 in Rajasthan. You can also email me (or reach out via Twitter and Facebook) for updates after making a donation. If you have any questions, doubts, concerns, compliments or complaints about this fund raising campaign, please reach out to me at sriniswaminathan80@gmail.com or tweet to me @srini091 and I am happy to answer. 1. Milaap admin charges: Whatever amount you choose to donate, Milaap charges 5% of it + 1.9 to 2.9% card charges. But, I request and encourage you to contribute via Milaap (this page) because that way you also support the awesome work Milaap does with so many deserving people all over. Please go to Milaap's main page to see all the great work they do. 3. All your funds are handled by Milaap. My role starts and ends with running marathons, raising awareness and requesting people passionate about education to support. I do not receive any commission/money/goodies in return. I do not need it. The money for my marathons is entirely from my savings/earnings and I do not take even one rupee from this campaign for my marathon expenses. 4. When the campaign ends, the funds will go directly to the Barefoot College trust in Rajasthan and not come to me or any other individual’s bank account. It has been quite some time since I shared updates from the night schools. The last year has seen some strong progress in shaping up the structures at the education section of the barefoot college. Many reforms have been introduced at the day school (Siksha Niketan), the Bridge School at Singla for migrant workers children and the night schools. 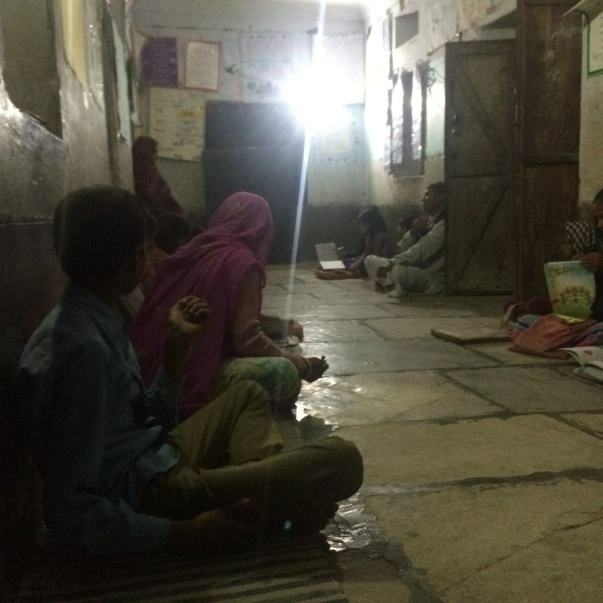 Your kind donations have been put to use to bring some fundamental changes in the night schools in Rajasthan. I plan to travel to these night schools in the next few months to see the changes in person and I will share more updates, including pictures. The progress is slow due to various challenges on the ground but I assure you to keep you updated here and via social media - twitter and instagram. I may also be traveling to Odisha night schools next month for teacher training and other work to bring digital technology to their classes. We are very grateful to your kind support and contribution to this cause. We are closing this campaign and withdrawing the donations to send to the account of the Barefoot College to make a plan and initiate support for the six night schools. Throughout this I will keep you posted whenever there is an update. You can also ping me on social media to know more. I also will share updates in Twitter and Instagram.